When I was approached to create a website to act as online database for the archives of Sculptor and Past President of the Royal Scottish Academy (PPRSA), Professor Bill Scott, to say I was honoured would be an understatement! Even when I was a lowly Gallery Assistant at the RSA in about 2005 (a really hard job by the way!) Bill Scott was one of the few people on the RSA Council who would say ‘hello’ and treat me as a valued member of the team. I’ll never forget that! Ian Douglas, born 1934, grew up in Dumfries, studied Sculpture at Edinburgh College of Art. 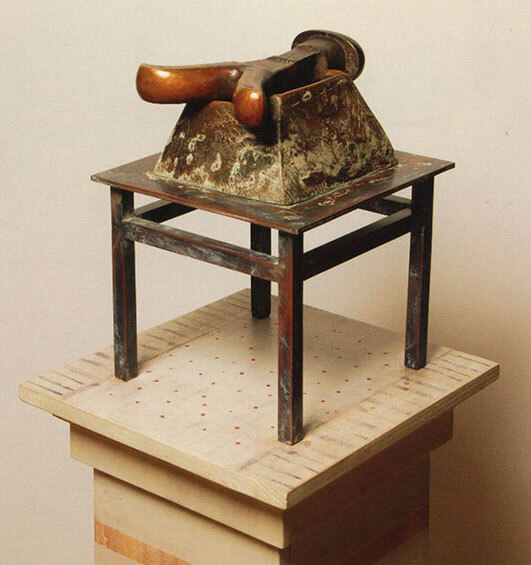 Bill Scott, born 1935, from Moniaive, Dumfriesshire, studied Sculpture at Edinburgh College of Art. … or perhaps I could just tell immediately that he was a very kind, intelligent, generous and talented artist. I worked closely with his daughter (and now good friend) Beth Scott and together we came up with a design for the archival website, showing his work with searchable categories (Public Works, Individual Pieces, Media, Years) as well as his biography and exhibition history. 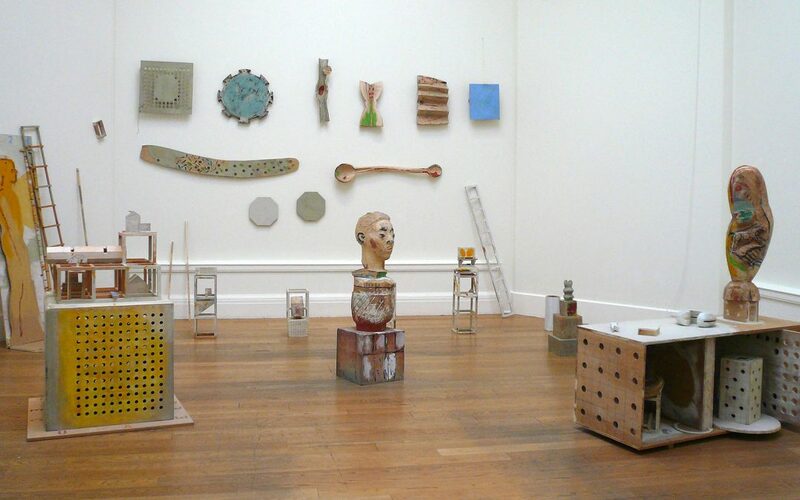 The website proudly displays ‘The Artist’s Studio’ on its landing page (and pictured above), prominently exhibited at the Royal Scottish Academy (RSA) Annual Exhibition in 2012, the year of his death. Thanks to the Scott family for giving me the opportunity to celebrate his life and work with them!